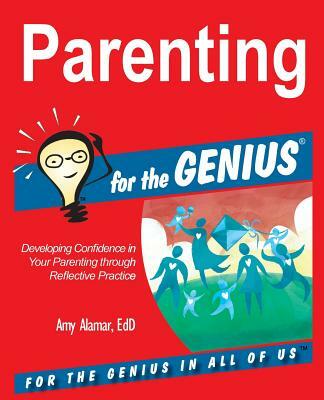 As a resource, Parenting for the GENIUS is full of usable strategies for a host of situations that are discussed with honesty, complexity, and care-in the comforting style of discussing difficult problems with a good friend. Amy Alamar delivers her wisdom and expertise through insightful, familiar, and charming examples. The anecdotes and practical advice come together to illustrate the importance of reflecting on your parenting practice to inform your future decisions. Parenting for the GENIUS is from a fellow parent-in the trenches with you-offering sound and productive advice based on research, professional experience, and personal practice. This is advice you can start using in the moment that is designed to help you make parenting decisions with confidence. Like Thomas Edison's definition of genius, the best parenting is 99 percent perspiration (i.e., a lot of hard work). You cannot master the art of parenting until you've done it, and it's really never over. Every day that you parent your child (no matter how many you've had or will have) will be different. You've never before parented this particular child through this particular age. It's literally all new every day. Benefit from your newfound reflective practice to learn from your own experiences to continually improve and feel good about your parenting and your family.